We are living in a renaissance of beauty subscription boxes. If you can think of it, it’s highly likely you can get it delivered. As someone who loves staying cuddled in my bed for day-long binge sessions of The Office, the idea of having the mailman/woman bring all of my favorite beauty products to me is the full dream. However, regardless of dream status, wading through subscription boxes to find the one that truly fits my beauty preferences can be daunting. This applies even more when I consider green beauty options. My skin type is sensitive to some essential oils, and there’s always the possibility products will overlap too much with what I already have. So, in an effort to answer the question of which all natural, cruelty-free, or organic subscription boxes are the best bang for your buck, I decided to try out a bunch and report back with my findings. With the help of Cratejoy, an online marketplace dedicated to subscription boxes, I was able to connect with a handful of high-quality beauty brands. Obviously, everyone prioritizes different traits in a beauty subscription box. Some of us are all about luxury, while others want practical products for everyday use. I fall somewhere in the middle, so hopefully my strong opinions will help you with any of your future beauty box queries. For those uninitiated with the wealth of Bombay and Cedar, they are a completely vegan lifestyle brand that sends monthly subscription boxes full of 5-7 handpicked goodies. If you’re going for an individual box, it hovers at $50, but if you commit to a year’s worth of boxes, you catch a steal at $28.45 per box. 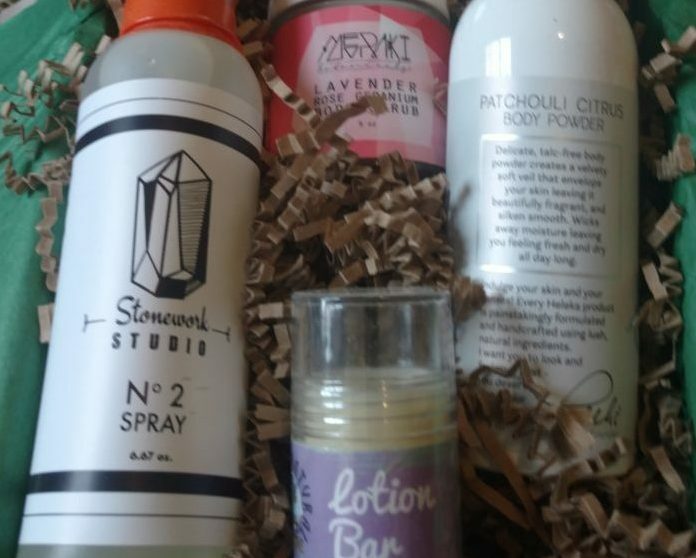 I received their June 2018 box, which included goodies all centered around the idea of “Escape.” In keeping with the theme, this box functioned like a survival kit for camping or running away in general. 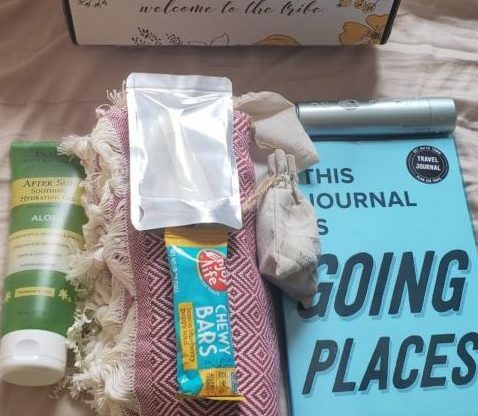 I received a Travel Journal by Knock Knock ($15 value), a full-size Babo Botanicals Aloe ($14.95 value), two Bombay and Cedar essential oils (Chamomile valued at $19 and Palmarosa valued at $14), an Enjoy Life Chewy Bar in Lemon Blueberry and Poppyseed ($4.99), a Turkish Towel by Easter Boho ($45), and the ORG Travel Size Oxygen Cleanser ($5). It should be noted that this box only cost $50, but contained over $115 worth in retail value. While I’m a sucker for a good deal, what really drew me to this box was the holistic nature of the design. At first, it’s not as visually alluring as a subscription box full of luxuriously packaged skin care (even though it does include cleanser and body powder). There’s no sign of that monochrome aesthetic that some boxes go for. However, when I actually started using everything, I realized how incredibly well thought-out this theme was. When I needed to reflect on my day, I had a blanket to curl up in while I wrote in my new travel diary. In the morning I could get ready for the world with the foaming cleanser, citrus body powder, and pack my snack bar for my on-the-go needs. When I craved a little rest and relaxation after a long day, I could soothe my exhausted skin with some aloe and the refreshing scent of essential oils. To me, the concept of a vegan subscription box combines both the daily value of veganism with the excitement of treating yourself. This box created the perfect marriage between those concepts with high quality products that can be used for travel, or during your every day life. 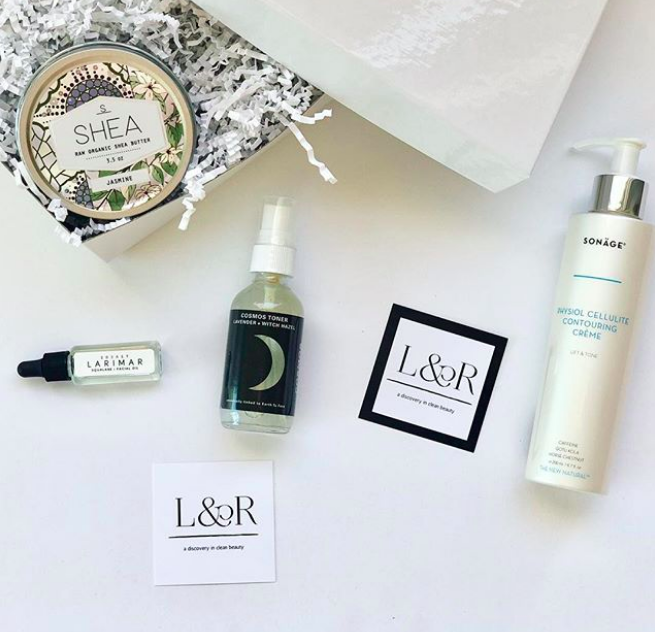 Laurel & Reed is an all natural and cruelty-free beauty and wellness monthly subscription service that costs $50 per box. Each box comes with 4-5 full-size products. I received the April 2018 box for review. 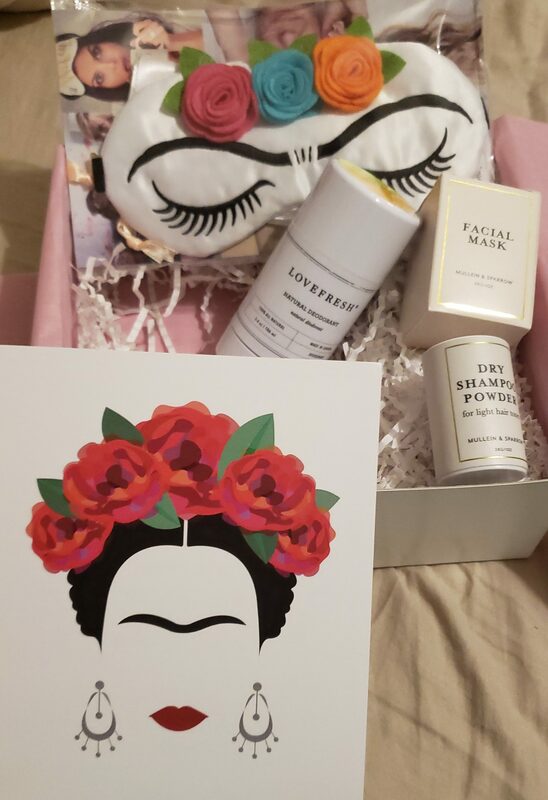 This bad boy included the Mullein and Sparrow Facial Mask ($24), the Mullein and Sparrow Dry Shampoo ($10), the Love Fresh Mandarin Lime Deodorant ($24), the Face/Food Naturals Dawn Renewal Face and Eye Serum ($24), and The Sleepy Cottage Frida Kahlo Lashes and Roses Sleep Mask ($22). This means subscribers are getting a nice $105 value for only $50. As a woman with fine hair and bangs, any box that contains dry shampoo hits my soft side. The dry shampoo smells good, is a good consistency, and was quickly added to my regime. However, I noticed it specifically catered to light hair, as is the case with a lot of dry shampoos. This is another situation where the product automatically excludes women with darker hair colors. On the flip side, I know women with fine or lighter hair are often the ones who use dry shampoo the most. Unfortunately, my sensitive skin did not agree with the mandarin lime deodorant. I am prone to rashes, and deodorants with citrus oils exacerbate that sensitivity. I absolutely love Friday Kahlo and sleep near a large window, so the sleeping mask immediately proved useful and I love how the packaging for the skin care products complimented the mask. Th eye serum and face mask are both high-quality and made me feel glowy as hell. Given the combination of luxe but useful products, and the dollar value I would say this is one of the best boxes I’ve tried. Truth be told, I took roughly 15 pictures of the Love Goodly box on my old phone. My phone soon after died, and I couldn’t resist diving into the products before the new one was up and running. So, I have borrowed this well-lit Instagram photo of Kaley Cuoco holding the very box she inspired. Love Goodly is a cruelty-free, vegan and organic beauty subscription box service that offers roughly 4-5 (mostly) full-size products for $30, or $48 for the VIP subscription box, which includes an additional full-size product. They put out six boxes a year, so every box spans two months, and many of their boxes feature curated collaborations with celebrities. 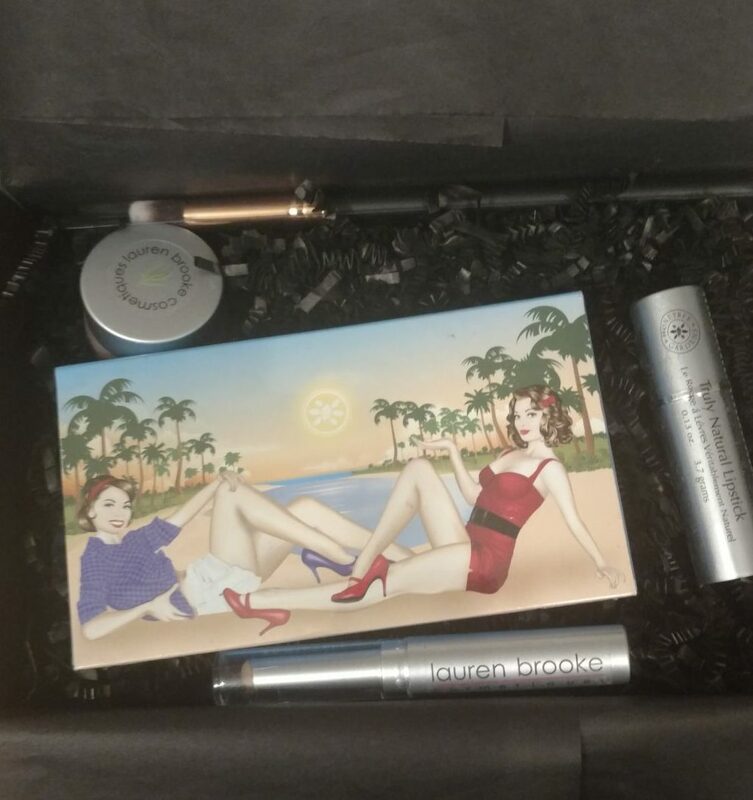 I received the June/July 2018 VIP box for review. This box included the Nail & Bone Nail Polish in Shirley ($10), the Dogeared Good Luck Elephant Necklace ($58), the Pacifica Devocean Natural Lipstick in XOX ($10), Antonym Waterproof Eye Pencil in Black ($19), Saint Bronzer in On Cloud 9 ($35). This all adds up to a $132 value for only $48! I’m not a huge necklace-wearer, so while I thought the Dogeared good luck elephant necklace was cute, I knew realistically I wouldn’t wear it. In my opinion, if Love Goodly was marketed as a beauty and fashion (or accessory) brand this would’ve felt more fitting. This accessory also was the most expensive, so while the box is the highest-dollar value, it’s the most out-of-place product pushing the price up. On the contrary, the bright pink shades of the Pacifica lipstick and the Nail & Bone nail polish completely compliment each other and make for a great monochrome lewk. Waterproof eyeliner is a genius makeup product for any beauty box because everyone can wear it, and the bronzer is blendable enough it can work on many different skin tones. Even though everything was full size, I do wish this particular box included a palette or a skin care product to even out the smaller products. Nonetheless, I’d say for savvy shoppers looking to explore some new all-natural brands, the VIP Love Goodly box is a solid bang for your buck. 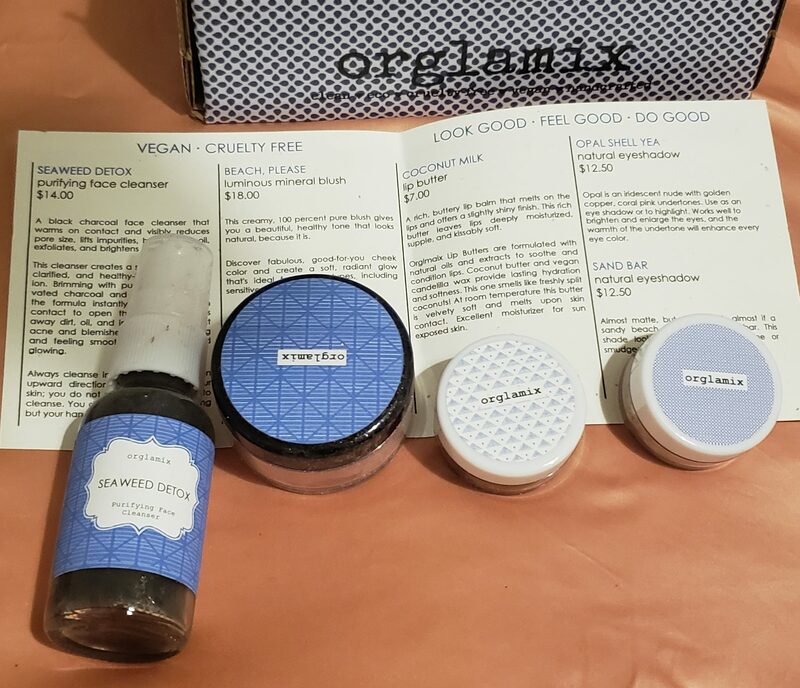 Orglamix is a completely vegan and cruelty-free brand that offers subscription boxes for $29.99 a month, and the packaging is to die for. Most of their boxes feature 4-6 products, usually a combination of loose cosmetic shadows, aromatherapy products and skin care. I received the May box for this article, which was curated around the theme “Make Waves.” In keeping with the theme, all of the products arrive in matchy monochrome blue and white packaging. Goodies inside included a Seaweed Detox Purifying Face Cleanser ($14), Beach, Please Luminous Mineral Blush ($18), Coconut Milk Lip Butter ($7), Opal Shell Yea Natural Eyeshadow ($12.50), and Sandbar Eyeshadow ($12.50). The value for this box is substantial. It runs at $64 worth of products for only $30. Because all the products are from Orglamix the brand, everything from the aesthetics of the packaging to the shades of the eye makeup go together. Both the cleanser and lip butter complement my sensitive skin needs while providing doses of some of my favorite vegan ingredients (coconut butter and seaweed). I would recommend this box to anyone looking for a nice dip into vegan skin care and cosmetics that complement each other. Nonetheless, this box didn’t completely wow me. I know the dollar value is technically high, and I won’t argue against the quality of the products, but the size of the products are so small. I realize some people enjoy subscription boxes because they can try out sample sizes and decide if they want to reinvest in those products. But for me, I want to go all the way. If I like a product in a subscription box, I don’t want only five uses worth. Go Organik Box is a completely all natural, cruelty-free, and vegan subscription box service. Their boxes cost $39.95 a month and regularly include between 4-5 makeup products. I received the April box for review. This box was all about cute packaging! It included the Honeybee Gardens Gardens Truly Natural Lipstick in the light pink Heirloom shade($13.99), the Honeybee Gardens Party Girl Eye Shadow Palette ($30), Lauren Brooke Luminous Eyes Corrective Concealer ($18), Lauren Brooke Oval Eye/Concealer Brush ($8), and the Lauren Brooke Color Extending Eye Primer ($15.50). This box provides one of the best bangs for your buck, with $85 worth of products for $40. I love the packaging, and the products themselves are nice. I recognize with makeup-heavy subscription boxes people are signing up for a gamble when it comes to whether the colors will flatter you (I can’t pull off the light pink lipstick but it IS beautiful). That all goes with the territory. However, for a mass subscription box to include not one, but TWO skin-colored products (concealer and the primer) that are both catered to pale white skin is a bit disconcerting. The makeup industry still has a long way to go when it comes to addressing the longstanding racism innate in foundation shades (or lack thereof). Unfortunately, the not-so-subtle messaging of a subscription box sending a light concealer to their subscribers is another part of the problem. However, they could have googled me to decipher the shade! I checked online though, and all of the tagged photos I saw were of light-skinned concealers. Again, I recognize there are hurdles and risks with makeup subscription boxes. This issue is easily solvable by either not including foundations/concealers, or allowing subscribers to customize their subscription to experience to take their skin tone into account. Terra Bella is an all-natural and cruelty free brand that curates 3-4 full-size bath and body products for $32.95 a month. I received their April Box for review. This box included the Stonework Studio No. 2 Spray ($12) which can be used to mask bathroom odors, the Lavender Lotion Bar by A Natural Alternative ($5), the Meraki Lavender Rose Geranium Body Scrub ($30), and the Heleka Patchouli Citrus Body Powder ($12). This gives you a $59 value for $33. Certainly a good deal, but not as great of a deal as the other boxes. This box gets my thumbs up for their use of full-size products, I am a sucker for being able to thoroughly try out each product. The Meraki Body Scrub took the cake for me, it smells like a dream and feels nice on my skin. But if I’m being completely honest, the other products didn’t do it for me. I recognize the practicality of a good room freshener and I appreciate the citrus scent of the Stonework Studio spray, but it doesn’t excite me. I don’t want products that make me think of the actual toilet in a subscription box. My feelings about the Heleka Patchouli Citrus Body Powder are fully influenced by the fact that I hate the smell of patchouli. The lavender lotion bar smells good, but it doesn’t rub into my skin as well as I’d like. I realize I’m being the Simon Cowell of subscription box reviewers here, but those are my feelings!